Don’t be fooled by his fresh-faced looks – Christopher Lecoufle couldn’t be more serious about wine. Born in Normandy in 1994, Lecoufle trained to be a fireman, but cut his wine teeth in Paris, starting his sommelier journey at the Michelin-starred restaurant Lasserre, where he began as a commis waiter and worked his way up to become a commis sommelier. Lecoufle got his first taste of Taillevent at fine-wine retailer Les Caves de Taillevent. A year later Gerard Basset MS MW took Lecoufle under his wing at the TerraVina hotel in the New Forest, where he worked for a year as a sommelier, learning the tricks of the trade from one of the greatest names in the business. But London called, and in August 2015, Lecoufle made the move to the capital, where he began working for the ambitious Gardinier brothers at their first London outpost of their popular Paris restaurant, Les 110 de Taillevent, which, as the name suggests, serves no fewer than 110 wines by the glass. Les 110 is a more casual concept of the flagship Taillevent in Paris, which opened in 1946. The historic restaurant takes its name from Guillaume Tirel, who was nicknamed Taillevent (meaning ‘wind cutter’) because of his long nose, and who wrote what is considered to be France’s first cookbook, Le Viandier, in 1310. Thierry, Stephane and Laurent Gardinier bought a controlling stake in the Taillevent Paris group in 2011, and also own Domaines Les Crayères in Champagne. Housed in a former Coutts bank in Cavendish Square in London’s Marylebone, the 80-cover UK outpost of Les 110 de Taillevent boasts a cellar stocked with almost 1,500 bins. 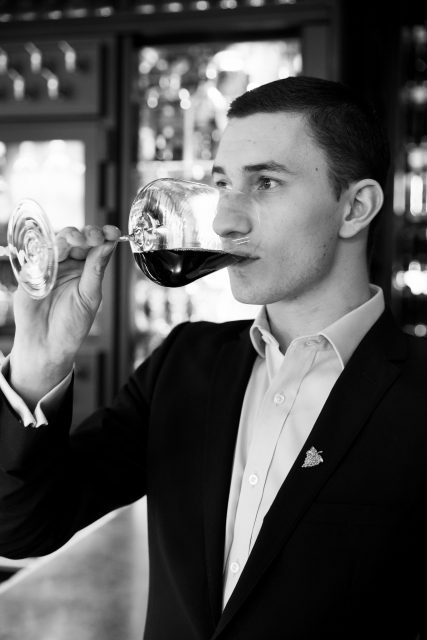 Like its Parisian sister, the London outpost boasts an evolving list of 110 wines by the glass, overseen by Lecoufle, who was made head sommelier in April 2016. Each of the wines is designed to be paired with 30 seasonally inspired dishes created by head chef Ross Bryans to harmonise with the wines. Three years after opening, Lecoufle is on track to reach the full capacity of 1,500 bins by the bottle at Les 110 de Taillevent London. While the DNA of Taillevent might be Burgundy, Bordeaux, the Rhône and the Loire, Lecoufle is keen to champion small and big-name producers. He also shines a light on New World winemakers, with drops on pour from Australia’s William Downie, Mac Forbes, and Ten Minutes by Tractor. After a shift he likes to relax with a glass of Yellow Chartreuse, and his pet peeve is diners who chill their wine with ice cubes. When it comes to food and wine matching, his apogée is the union of Comté and a glass of Arbois.